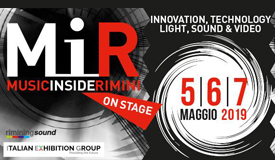 The summer season in Rimini and the east coast starts in mid June and ends more or less mid September. During the other months when our hotels are still open, (April to mid October) some of the services are unavailable due to unavoidable reasons. the Beach: The beach service in the area officially kicks off during mid May, until mid September. Even though our beach 106b gives special service to Young People Hotels, where you could anyway find a beach bed service. Hotel animation / entertainment: The lively evenings animated by our young people staff are officially between mid June to mid September but remember that our staff will always be entertaining and be willing to engage you whenever! Breakfast hours: from 15/06 to 15/09 the breakfast is available until 12:30 afternoon. Other periods, each hotel reserves the right to modify timetables according to the circumstances. For example in case of an organized group, (school trip or s sports group) with specific needs. Free use of push bikes: service is valid from June to September. Air conditioning: active from early June to mid September, or according to weather conditions. 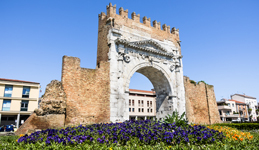 What to do in Rimini when it’s low season? 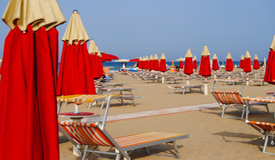 Rimini is always associated with sea, sun and loads of fun. But during the low season where the real action has yet to begin or already ended, there are so many interesting stuff that are worth a trying! Art: from classic museums and monuments, to exibitions and special events…. Rimini is also culture. Check out on this site for more. 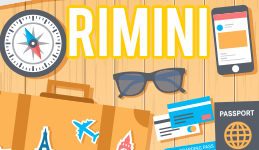 www.riminiturismo.it You will get many interesting hints and the list of important events taking place in Rimini and suburbs. Sport: in Rimini you can practice almost any sport. From Golf to Horse-riding, from five a side football to tennis, from swimming (in the olympic pool in Riccione) to fresbee etc etc. But the most interesting thing is to mix sports and nature! the lungomare(beach promenade) and the countryside of Rimini are full of cycle paths with beautiful lush green surroundings. Go to www.piste-ciclabili.com/provincia-rimini for more on that! 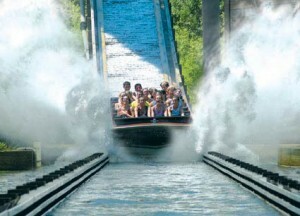 Theme/Entertainment parks: Italia in Miniatura, Oltremare, Le navi, Skypark, Mirabilandia and many more… The Rimini Coast offers the best of entertainment. Check this site www.abcrimini.com/parchi to find out which one is right for you! And remember, LOW SEASON MEANS LESS HEAT AND LESS CROWD. Shopping: Rimini old city, Viale Ceccarini of Riccione, the lungomare or the beach street… are the favorite places for bargain-hunting or a “I want it all” shopping tour and to experience the strange feeling that you are left with no more money in your pocket. Also the large shopping malls like Malatesta or Le Befane (with more than 100 shops) have become a great alternative if the weather is not at it’s best.